Ben Orkin reached the end of his journey Jan. 24, exhausted after navigating the water in the dark and swimming part of it when a rapid toppled his kayak. 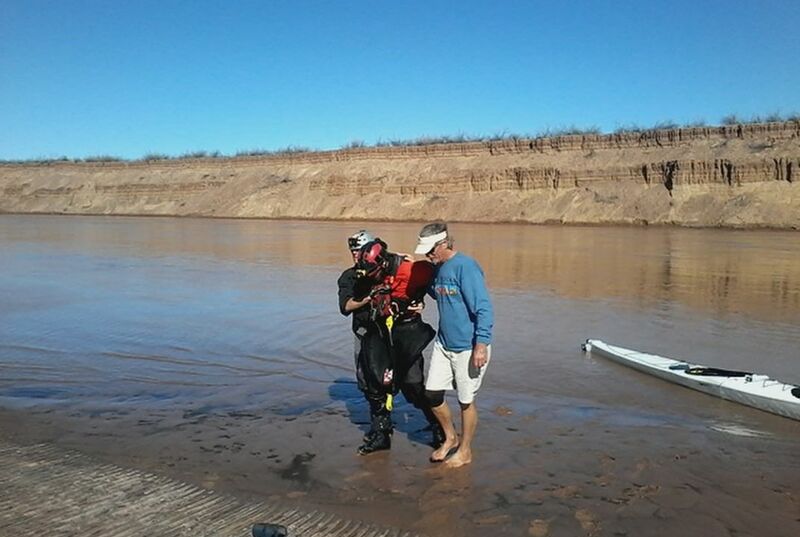 Orkin beat a record set the previous week by more than an hour and one set by three men in a non-motorized boat in 1983, according to Tom Martin, secretary of the Grand Canyon Historical Society. "I'm super happy I beat it," Orkin, a 25-year-old certified public accountant, said. "I'm never trying it again." Orkin and a friend from college, Harrison Rea, attempted an overall speed record in January 2015 but fell an hour short. They lost time after Rea's kayak got stuck and cracked, forcing them to repair it on shore. Orkin launched his latest venture in the dark Jan. 23 from Lees Ferry near the Arizona-Utah border, aiming to beat the 1983 record of 36 hours and 38 minutes that was set when the water was flowing much faster. On his way to the river, he got an email from a fellow kayaker that would make it even harder: Four men just finished the trip in 35 hours and five minutes. Orkin said he knew within hours that he could beat that time if he kept up his pace of just over 8 miles an hour. He grew up in a family of whitewater river rafters, spent years developing a relationship with the Grand Canyon and trained hundreds of hours for a speed trip. He was confident about a record run until he hit the Lava Falls Rapid, one of the most challenging on the river. The rapid rolled his kayak and sent him swimming for about half a mile to shore. He emptied the water in his kayak and kept going. Taking a break is otherwise out of the question, Orkin said. He carried food that was easily accessible and wouldn't upset his stomach, a lighting system and a spreadsheet with the river miles. He launched his kayak based on the time of day he was expected to hit certain rapids. He got a boost from other river rafters who cheered and clapped as he paddled by. But he said he went the last 22 hours of the trip without seeing anyone. And when the river calms about 30 miles after the last rapid, exhaustion set in. 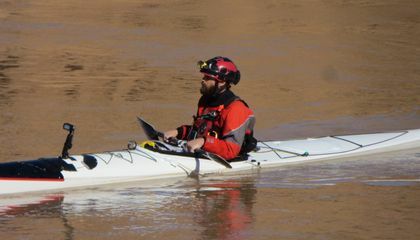 Martin, of the Grand Canyon Historical Society, and others tracked Orkin's progress online, until he lost the GPS device in the water with less than an hour to go. A backup GPS gave him the exact coordinate that signaled the end of his trip at Lake Mead on the Arizona-Nevada border. Veteran river rafter Craig Wolfson helped greet Orkin as he finished. He and Orkin's father, Arthur Orkin, helped the record-setter off his kayak. He wanted to beat the record for how fast one could go down the canyon. Even if it was only what he thought he could do he did it and he did it as fast as he could. A man named Ben Orkin made a 277 mile journey on a kayak in 34 hours. During this journey he encountered many challenges including his kayak flipping and him having to swim 1/2 a mile to shore and fix his kayak. The reason he was attempting this ridiculous journey was to beat the previous record of 36 hours. I have a connection to this article because I'm also an athlete, not as good as him, so I can understand the challenges he faced.